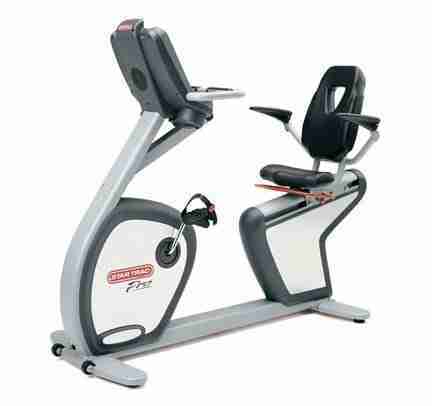 POSTS What is the Best Recumbent Exercise Bike? Exercise is a necessary evil. We all need it to get in shape, but when we do it, the last thing we want is to feel all the aches and pains that come with strenuous activity. The muscle aches are going to happen if you put in the work. But what we all wish we could avoid is the aching joints and sore backs that make us question why on Earth we thought exercise was a good idea. A recumbent bike can help alleviate many of those aches and pains. If cost isn’t an issue for you, I’d say go with one of the Star Trac brands of recumbent bikes. They make a quality product, but what sells them to me more than any other bike is that they are rated to handle a max of 350 lbs. I’m a fat guy, and I can honestly say I hate it when I get on a machine, and it sounds like it might fall apart at any given moment because it isn’t made to handle my weight. Now, that isn’t the only reason to go with a Star Trac Recumbent Bike, of course. So, to be fair, let’s take a closer look at what makes it a good buy and its drawbacks. I went with the Star Trac S-RBx Recumbent Bike since it has more reviews online than most of the other models; at least, that I could find. One site had six users review it for an average grade of 4.2 stars. It received five five-star reviews and a single one-star review. But to be fair, the user’s issue seemed to be more with receiving a broken product that never worked well than the product itself. By user-friendly, I am referring to its listed weight capacity of 350 lbs. Personally, I don’t understand why manufacturers of exercise equipment don’t make everything strong enough to handle the beating a truly out of shape individual will give a machine. The large and in charge need the exercise more but don’t want to buy equipment that is likely to break down. So, kudos to the makers of the Star Trac S-RBx Recumbent Bike for creating a bike that is friendly to the large as well as the small. I get bored on exercise machines. So, to keep me focused and working towards my weight loss goals, it helps to have workouts that will challenge me without killing me—like the ones often programmed into the Star Trac S-RBx Recumbent bike. How can you make programs tougher? By altering your resistance level! It can be easy to get on a bike and just ride. But it is even easier to do so and get so bored you quit working out. The programs (it comes with 11) and resistance levels (it comes with 20) will help keep you from doing that. It comes with a fan built into the dash. How awesome is that? 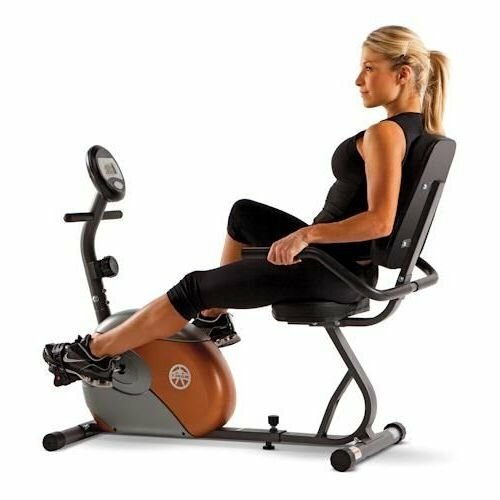 Can you really be so comfortable sitting on a recumbent bike that you are not motivated to work as hard as you need to in order to work up a sweat? It sounds a little crazy, but to some, it is a legitimate concern when it comes to recumbent bikes. To those few I ask one thing: are you sure you really want to work out? It’s big. It’s bulky, and it’s kind of heavy (130 lbs.). If you decide you want your Star Trac S-RBx Recumbent Bike in another room, you’ll probably need to call a friend over to help or take it apart. These are great bikes, so it is hard to find legitimate cons. Not that cost, isn’t one. But since prices can vary so much from one location to the next, it is almost unfair to bring it up since you can’t know how much it will cost until you try to buy one. But from the prices listed on different sites online, it is safe to say that one of these will not be cheap. The Star Trac S-RBx Recumbent Bike is an excellent bike. It comes with all the bells and whistles that you could hope for in an indoor bike. It’s easy to use, easy on your knees, and even easier on your back. They are not cheap, but you can rest assured that you get what you pay for with one of these. To see a more in-depth review of Star Trac Recumbent Bikes, check out this post. While we all want to get in better shape, we also want to be able to afford to cover our bills and maybe even buy a little food. There are plenty of options on the market that will not break the bank and can help you meet your fitness goals. Of course, prices can vary from one location to the next and are always subject to change. But the following are quality bikes often found listed with a reasonable price tag. 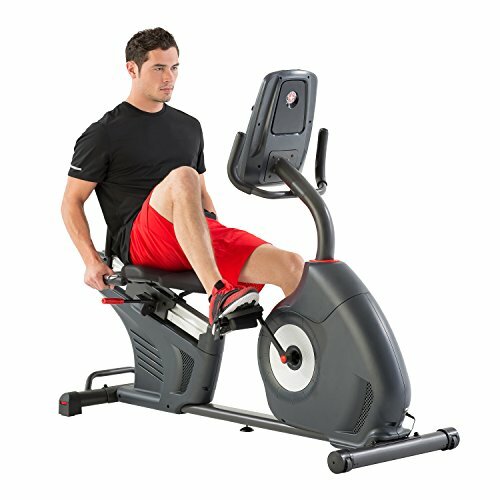 At Walmart.com, 807 users left a review of the Exerpeutic 400XL Folding Recumbent Bike and gave it an average rating of 4.6 stars (out of five). Easy to assemble: How frustrating is it to buy something, get the box home, open it, and then feel like you’re being asked to perform surgery to put it together. Oh—and with instructions so detailed they might as well be in Greek? That is not the case with the Exerpeutic 400XL Folding Recumbent Bike. The instructions are clear and the bike pretty easy to put together. Storage: Having a recumbent bike for use at home is great but storing one can be a difficult task. But not if you have an Exerpeutic 400XL Folding Recumbent Bike. Not only does it fold up for easy storage, but it has wheels to make moving it easier! User-friendly: It can support riders up to 300 lbs. Some parts are made of plastic and hence, prone to breaking when the bike is used a lot. Customer service: Since many parts are made of plastic or other cheap material they tend to break. 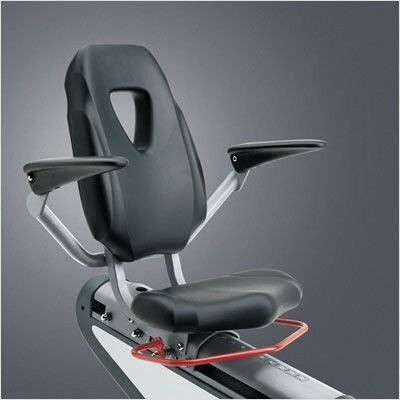 Many reviewers online commented on how difficult it was to work with the manufacturer’s reps in obtaining replacement parts for their Exerpeutic 400XL Folding Recumbent Bike. It’s a good bike overall, but you have to keep in mind one thing with anything that is priced affordably. They had to cut cost somewhere. That often means the finished product, in this case, the Exerpeutic 400XL Folding Recumbent Bike, will have parts that could break easily. 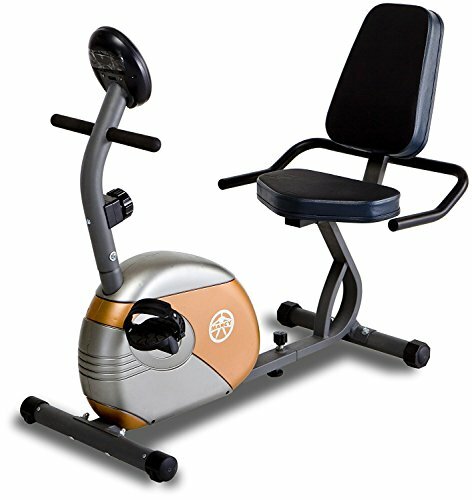 At Walmart.com, 3646 users left a review and gave the Marcy ME Recumbent Exercise Bike-709 an average rating of 4.4 stars (out of five). Sturdy construction: This bike is made of heavy-duty, 14-gauge steel tubing which helps it handle larger users (max recommended weight—300 lbs.). Surprisingly, it only weighs about 60 lbs. 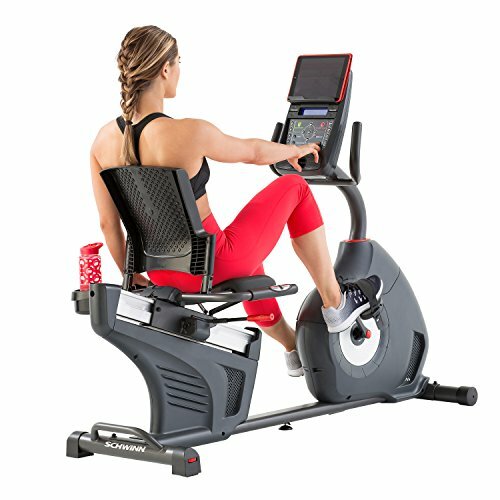 8-level magnetic control system: Have you ever been on an exercise bike and peddled fast enough and hard enough that the bike rocked from side to side some? Well, with this magnetic control system, the Marcy ME Recumbent Exercise Bike-709 is not going to do that to you. The seat: Since you are going to be sitting on this bike for 30 minutes or more a few days a week, it only makes sense that it has a nice, comfortable, padded seat—like this one. 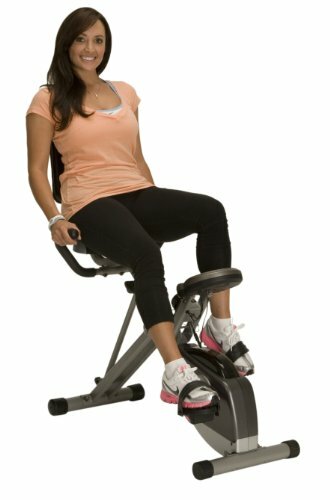 Storing it can be a challenge: The wheels help make moving the Marcy ME Recumbent Exercise Bike-709 fairly easy. But since it can’t fold up, you can’t really put it out of the way when you’re not using it. Shipping: Many users complained about receiving the bike with some pieces damaged in transit. 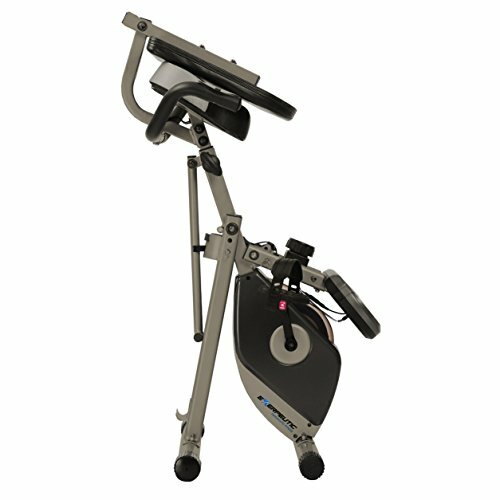 Difficult to assemble: Many users also complained about how difficult they felt it was to put the Marcy ME Recumbent Exercise Bike-709 together. 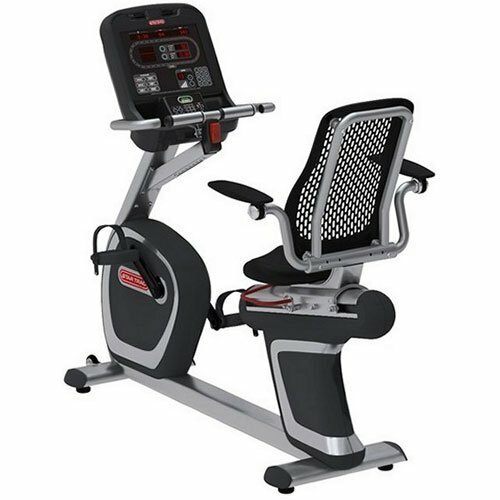 It sounds like a good bike overall, but much like the Exerpeutic 400XL Folding Recumbent Bike, you get what you pay for when you buy a Marcy ME Recumbent Exercise Bike-709. It could very well work for years and years without a single issue, or it could break down on you next week. Programs/Resistance levels: It comes with 29 preset programs that can be made easier or harder with the 25 resistance levels. 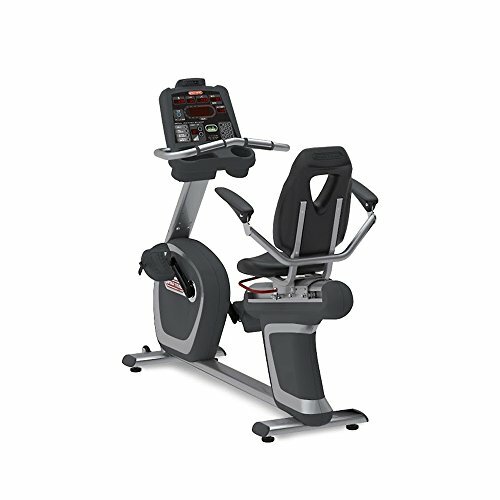 You will never run out of options for your next workout on the Schwinn 270 Recumbent Bike. RideSocial App: Hate to exercise or ride alone? With the RideSocial App, you don’t have to! Sync with it, and you can virtually ride alongside your friends as you see the world! Bluetooth Connectivity: This allows you to connect with the Schwinn Trainer App to track your workouts. That way you can see what sort of progress you’ve made toward your goals while using a Schwinn 270 Recumbent Bike. 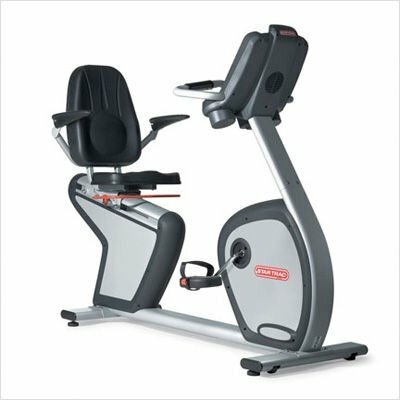 The seat: Most of the Schwinn 270 Recumbent Bike was constructed so well that it is almost hard to believe they overlooked the seat. But several users complained in their reviews about how uncomfortable it was. Some even complained about back pain caused by the seat. Customer service issues: When you order things through the mail there is a chance that parts can be damaged in transit. Several users complained of such in their reviews. But what upset them, even more, was the run-around they felt they were subjected to by the manufacturer’s customer service. A few even complained about getting charged for someone to come out to fix their Schwinn 270 Recumbent Bike even though they received it already broken. Sync issues: The Bluetooth connectivity and things you can do with the apps are a major selling point. But if you can’t connect, then the apps become useless and the Schwinn 270 Recumbent Bike a little disappointing. It sounds like a great recumbent bike with more bells and whistles than the other reviewed bikes. However, if the bells and whistles don’t work—well, then what’s the point? To be fair, they did work for many of the people that reviewed the bike online. But do you want to risk being one of the ones they don’t work for?